In today's digital world, marketing your products and services internationally has never been more accessible. Unfortunately, many do not know where or how to start. 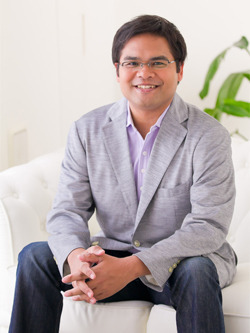 In this revealing e-book, Asian online marketing expert Rohan Yamagishi unlocks the secrets of search engine marketing not only on Google and Bing, but also on lesser known search engines in Asia, such as Baidu, Yandex, and Yahoo! Japan. Yamagishi, founder and CEO of Info Cubic Japan, a Tokyo-based search engine marketing agency with hundreds of clients doing business throughout Asia and the West, takes you step-by-step through the process of getting your business's website onto the SERPs in countries all across Asia, including, but not limited to China, Japan, Korea and Russia. It's estimated that by 2014, half of the world's internet users will be from Asia. Seeking to tap into this customer-rich environment, companies across the globe are starting their own multilingual SEM campaigns in various Asian countries. Yet, many businesses often find technical, linguistic, and cultural differences make it difficult to achieve success. Before you seriously consider delving into this large, diverse market and dealing with numerous foreign languages and all their regional variations, you need a basic overview of web-based marketing in the region. 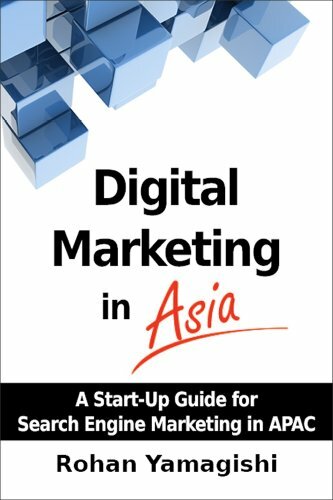 Digital Marketing in Asia: A Start-Up Guide for Search Engine Marketing in APAC provides just such an introduction to reaching the more than 1 billion Asian Internet users. It doesn't stop there, though. Yamagishi goes on to detail precisely how to reach your specific intended target audience, whether it be through paid search advertising, enhanced web content, or social media. Readers of this e-book will find technical tips for creating effective ad copy, how to generate keyword lists in two-byte character languages, such as Chinese, Japanese, and Korean, and many more of the intricacies in dealing with the different paid search platforms in Asia. After finishing this book, you will know all about Asia's search engines, such as China's Baidu, Korea's Naver and Russia's Yandex. Digital marketing in Asia can be a wonderful opportunity for your business, but it can also be a quagmire that devours time and money. Fortunately, Digital Marketing in Asia: A Start-Up Guide for Search Engine Marketing in APAC gives you the insight you have been searching for to successfully expand your business online in Asia. This book is easily understandable even for beginner. An elaborate analysis on profound research shall help the business opportunity. Apparently, this is the real handy guide book we can depend on. I would highly recommend this book; it is very informative and well written. I spent only a few hours reading the entire book from start to finish. Mr. Yamagishi is one of the few people that I listen to when it comes to SEO. I trust him because he is someone that actually conducts his own research and testing to determine what works and what does not. This book is perfect for any business owner who is planning to expand their business globally via the Internet and without wanting to open physical locations all over the world. Going global is not as difficult as most people expect, simply follow the roadmaps described in the book and you will succeed. The best part about this book is that it is an easy read. It provides a lot of statistical information with graphics that make the concept of global SEO/SEM easy to grasp within a few hours. Whether you are planning on hiring a consulting firm to handle the SEO on your website or you want to do it yourself, this book will provide you with the full picture you need before starting the project. Expanding your Internet marketing in the Asia-Pacific region can be a harrowing experience. This guide gives both novices and experts an understanding of the complexities of dealing with this potentially lucrative market.